“Blessed, relieved, happy, excited,” these are the words Deletis Spruill uses to describe her feelings upon entering her very own apartment after months of shuffling from place to place. United Way of the Coastal Empire, in partnership with Kole Management Company, launches the Independent Housing Collaborative (IHC), an innovative initiative between many local agencies and companies dedicated to helping qualified individuals and families build stable housing and self-sufficient lives. The initiative serves homeless individuals and families who are currently enrolled in local human service programs or those who have been displaced by fire or any other disaster. 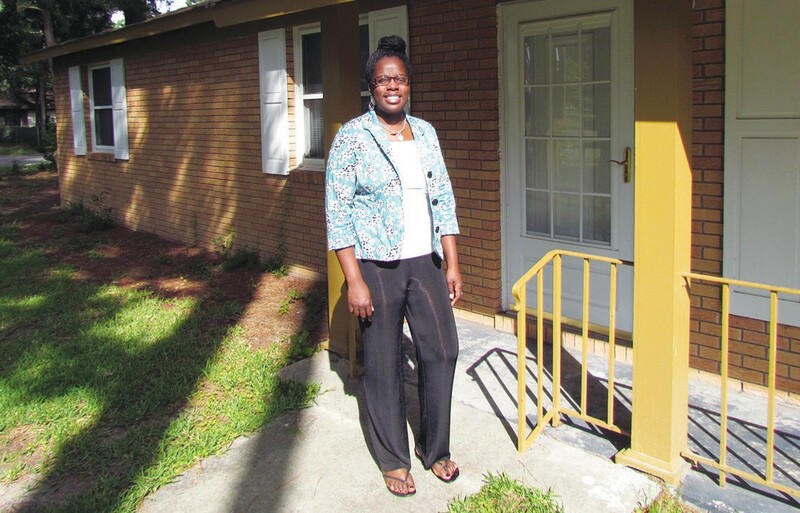 Kole Management Company, a Savannah-based real estate management and investment company that operates nine apartment communities in Savannah and Garden City, generously granted five units to provide clients with transitional housing. Other local corporate supporters – Georgia Power Company, City of Savannah, Comcast and Furniture Rentals – came together to help with utility services and home furnishing. The Independent Housing Collaborative (IHC) is the only transitional housing collaborative in the Coastal Empire that is operated directly through individual for-profit companies from the region. The Independent Housing Collaborative (IHC) provides in-home case management to assist with a variety of interventions to help individuals and families achieve stability and retain housing, including budgeting skills, community resource information, problem-solving skills and basic home maintenance. Case management is tailored to each client’s needs, and all clients participate in goal setting. The initiative receives referral from a variety of homeless service providers in the Coastal Empire community, such as American Red Cross, Goodwill Industries of the Coastal Empire, Interfaith Hospitality Network, JC Lewis Primary Health Care, The Salvation Army and Union Mission. The first client helped by the Independent Housing Collaborative (IHC) moved in last November. Since then, the program has assisted 10 families (30 individuals) and has provided services with a value of over $40,000. United Way of the Coastal Empire welcomes additional support from companies and organization to participate and contribute to the program. For more information about the Independent Housing Collaborative (IHC) or to get help, please call Trudy Jones, United Way 2-1-1 Director at 912.651.7712 or tjones@uwce.org.